Within the fuse box in our Defender there is a handy looking unused connector with some good size cables attached. 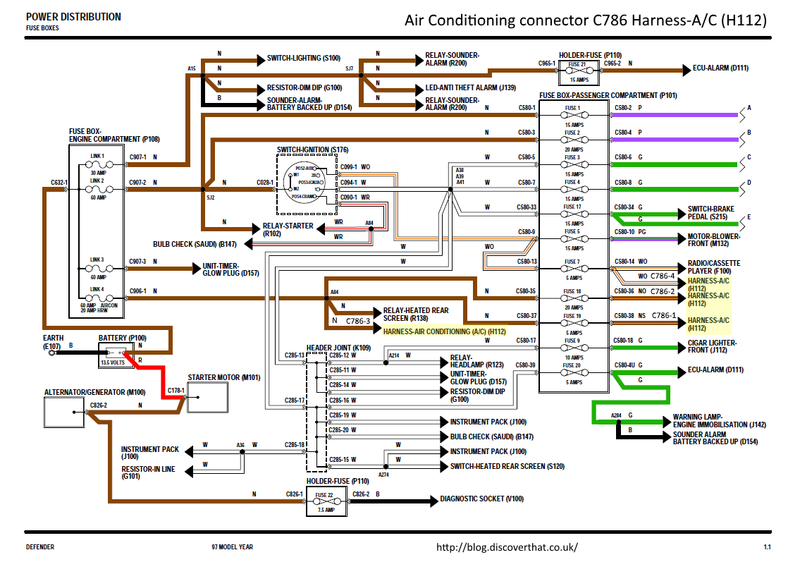 I spent ages on the Internet trying to find where in the circuit diagram the connector was. It's shown as reference C786 in the header photographs but C786 does not appear in the electrical circuits! I eventually found it. 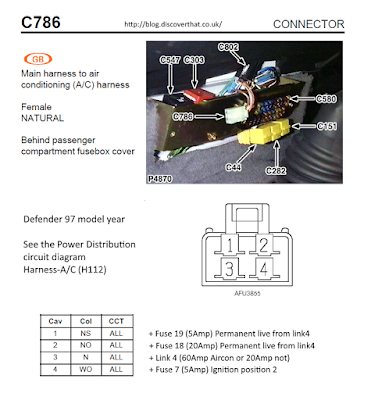 Referred to as Harness-A/C (H112). 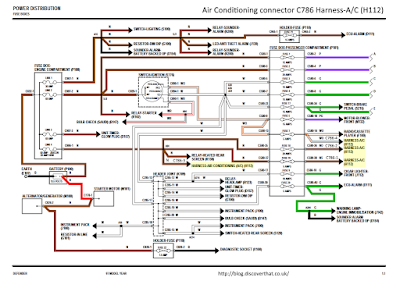 I've amended a copy of the circuit diagram to include the references. I've also made a more useful header page to go with it.